The Harbor Point Charitable Foundation provides financial support in several ways to organizations which support our mission. Awarding grants to worthy organizations is just one of those ways. We have long-standing relationships with several nonprofit organizations which we support most every year. Also, we frequently serve as a sponsor of fundraising events produced by other organizations whose activities meet our criteria and support our mission. The Foundation is currently in the midst of creating a more formal process for grant application submissions, review and awards. Therefore we recommend you check back here for updates to our procedures. However, we encourage you to make grant requests according to the following guidelines. The Harbor Point Charitable Foundation makes grants primarily to nonprofit organizations that are exempt under section 501(c)(3) of the Internal Revenue Code. The Foundation does not make grants to individuals or for-profit organizations. In addition, the Foundation has a geographic limitation. In keeping with our own mission statement, we grant funds to be used for programs and services that affect residents of the San Francisco Bay Area, with a special emphasis on the North Bay and East Bay. Consideration for grants is limited to organizations whose programs support our overall mission. 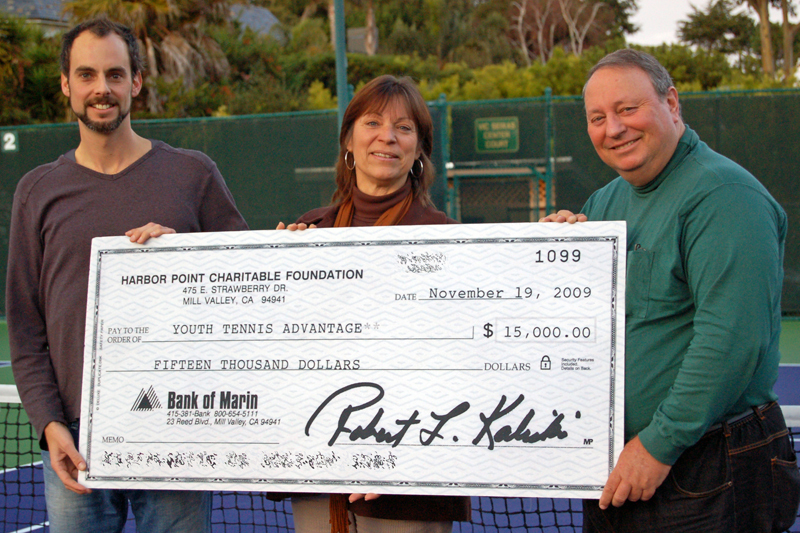 The Harbor Point Charitable Foundation’s mission is to fund and facilitate the most promising organizations aimed at improving the quality of life for Bay Area adults and children in need. Our focus is two-fold: 1) To support innovative organizations dedicated to serving those adults and childern experiencing a current health crisis, and 2) To support educational, arts, athletic and nutritional programs at Bay Area institutions demonstrating a steadfast commitment to our children’s future. Grant applications will be evaluated by the programs in which applicant organizations are engaged, the clients they serve, the procedures they use, the benefits and/or services they offer, the quality of their management, and general financing and fund-raising practices. The Foundation will review each request that follows these funding guidelines. Requests should be submitted by August 1st of each year to be considered for the following calendar year. For example, proposals submitted by August 1, 2019 will be eligible for funds distributed for use in 2020. In August our Grants Review Committee will begin its selection process. Then in November the Committee and the Board of Directors will make their final determination of grant recipients for the following year. Following selection, grant recipients will be informed of their awards by the end of the current year. CLICK HERE TO DOWNLOAD the Harbor Point Charitable Foundation special grant application form.